This is the culmination of our series of articles on suitable flooring systems for Kerala Homes. 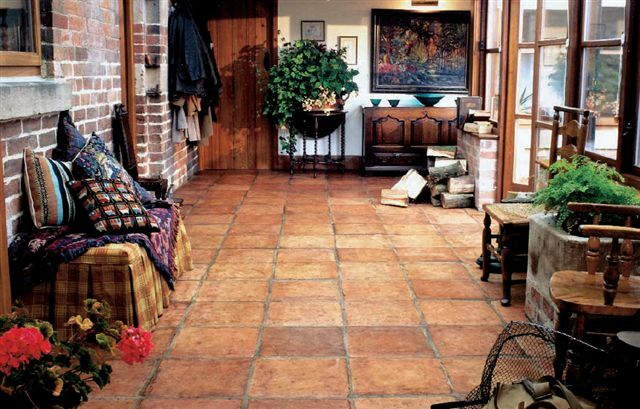 And this week, we take a look into our tried and tested Terracotta Floors- 'Tharayodu', as they are called in Malayalam. 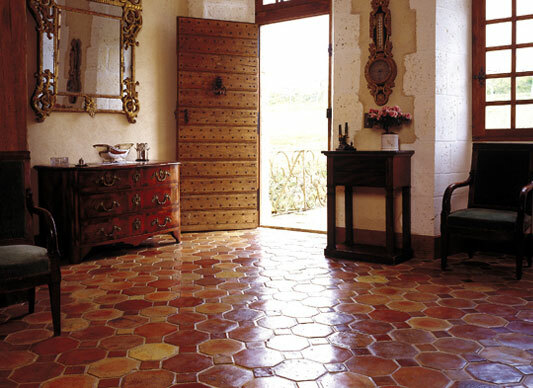 Terracotta Tiles have been used in our state since ancient times. They were moulded in Kerala country-sides and baked in crude kilns and then laid down on residential floors of the nobles and the wealthy. Today, they are manufactured using high-tech machinery and baked in modern kilns that give them lasting hardness and luster. When used unpolished, Terracotta Tiles may absorb moisture, could develop hairline cracks and also may get easily stained. 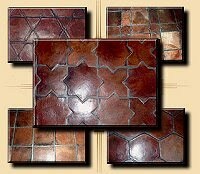 But high grade polish prevents wearing and gives the floor long lasting durability. They can be given a matt or glossy finish as suited. Many Home Owners prefer to lay Terracotta Tiles in their homes selectively- in the Living Room, Bedrooms, Internal Courtyard etc. This flooring system is used to complement other kinds of flooring systems like granite and wood to create interesting patterns. Terracotta Floors are priced at a very affordable range of Rs.15 to Rs.50 per sqft. They provide for a healthy and green design concept. 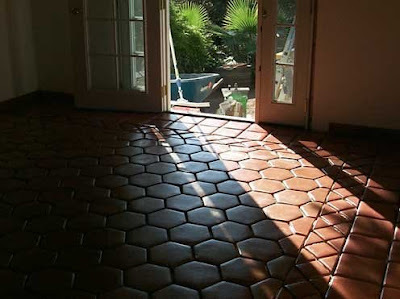 Apart from locally manufactured Terracotta Tiles, they are also imported from Mexico and Egypt; and also come in Pre-coated and Water-proof varieties, which can be used in wet areas too without the concern of high maintenance or mold formation.